Part of a child’s growing and maturation process involves making mistakes. Children and teenagers are very impressionable and are vulnerable to peer pressure from their friends and classmates. They can be accused and charged with a criminal offense for simply hanging with the wrong crowd or being in the wrong place at the wrong time. Whatever the circumstances surrounding your child’s juvenile charges are, it is very important that you find a quality juvenile criminal attorney to speak on their behalf and to make sure your child isn’t being treated unfairly or facing harsher punishment than he or she should be. When a juvenile is arrested for a criminal charge, a different criminal procedure starts than what an adult would face. You need a juvenile criminal defense attorney who is knowledgeable about defending juvenile charges if you are a parent of a minor child who has been arrested. 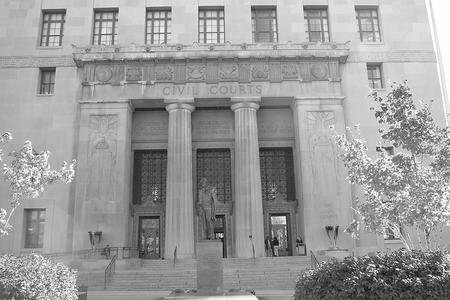 Juvenile crimes attorney Justin Summary has handled juvenile offenses all across the greater St. Louis area and will speak to you privately in person (or over the phone) for a free initial consolation to discuss your options. If your child is accused of committing a serious criminal offense, a prosecutor may even try and have your minor child certified as an adult. If your child is facing being tried as an adult, he or she has a right to have a hearing to determine the basis for removing the case from the juvenile court system. Generally, it is much better to try and keep the case in juvenile court where the penalties are more likely to include probation, fines, counseling, and community service even though the punishments sometimes do include a period of "confinement." The penalties for crimes are significantly more severe in adult court. While juvenile records are generally sealed at the conclusion of their case, adult records may or may not be sealed. In addition, if your child goes to adult court, jail time becomes a more likely alternative. Obviously, if your child is facing being tried as an adult it is essential to have a criminal defense attorney who is not only experienced in fighting to keep the charges at the juvenile level but who is also experienced in fighting charges at the adult level as well. Contact juvenile criminal lawyer Justin Summary today for your free case evaluation.